Had you told people years ago that they would be able to send faxes without having to be physically connected to a fax machine, people wouldn’t have believed you. Today this is a reality and the norm. As technology advances and improves it is only a matter of time before things change and new improvements and features are added to this world. Many wonder how fax manages to stay current in a world where change is so real and rapid. The answer is very simple. 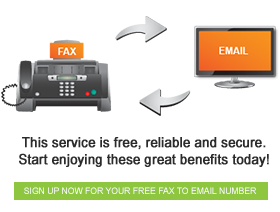 Fax has survived and reinvented itself throughout the years because it is a tried and tested method. It has proven to be reliable and as they say “why fix it if it aint broke?” Apart from the reason that fax has now diversified from just traditional fax that requires you to have an actual fax machine to fax through internet protocol, it is a reliable method that always delivers. It is already a trusted means of communication that has already been worked into business communication. Many people think it’s best to just stick with what works, instead of exploring and possibly dicing around with such an important function in the business. Minimises administrative acrobatics. Not only do you save money on fax machine supplies, but you also save the time it would have taken to sort through actual printed fax messages trying to figure out which belongs to whom. It is convenient as you can fax from anywhere in the world to wherever. All you need is a fax number and internet connectivity and voila! You are connected. Fax is here to stay and as technology improves so too will it improve to integrate into communication systems.